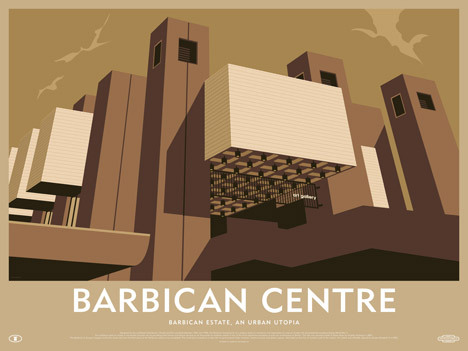 Competitors: Dezeen has teamed up with the Barbican Centre to give readers the chance to win one of three constrained-edition prints illustrating the iconic Barbican Estate in London by Manchester-based mostly studio Dorothy . The Barbican Estate was designed by architects Chamberlin, Powell and Bon and built between 1962 and 1982 in hopes of transforming an area of London left devastated by bombing throughout World War II. 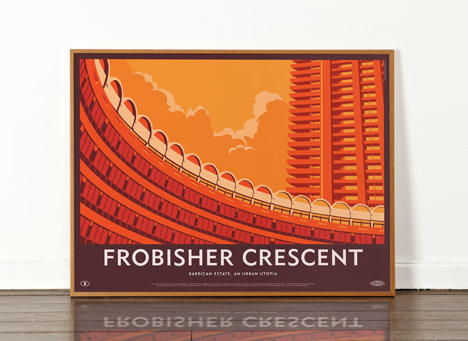 Forming part of a series that celebrates late 20th-century architectural projects, Dorothy’s set of three prints feature Frobisher Crescent, Barbican Towers and the Barbican Centre. The 80 by 60-centimetre litho prints are reminiscent of early 20th-century travel posters, with tonal shading and standpoint lines giving a three-dimensional appear. 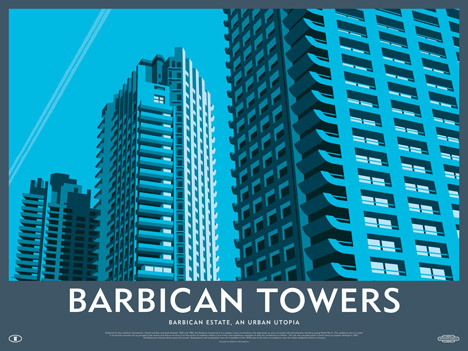 Shades of blue make up the Barbican Towers illustration that depicts every single of the three Cromwell, Shakespeare and Lauderdale blocks. At the time of completion, the flats had been the tallest residential towers in Europe and featured easy layouts with compact kitchens and bathrooms. 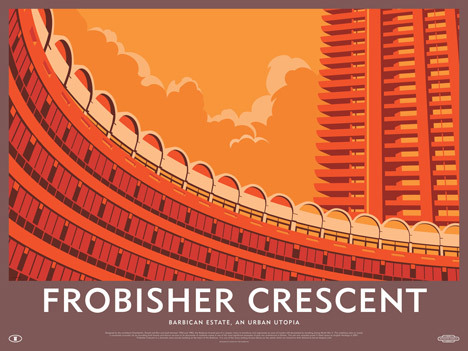 The barrel-shaped roof and distinctive curved layout of Frobisher Crescent is illustrated via bright tones of orange, although the Barbican Centre is much more subtly shaded in browns and beiges. 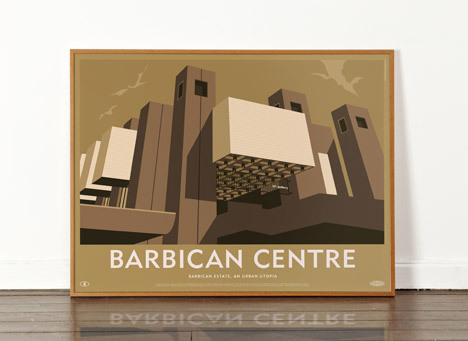 The Barbican Centre opened in 1982, and is described as “Europe’s biggest multi-arts venue”. As effectively as the Barbican Art Gallery, the centre houses The Curve gallery, Barbican Hall, the Barbican Theatre, the Pit, three cinemas, a library, Lakeside Terrace, a glasshouse conservatory, and three eating places. Founded in 2010, Dorothy is a Manchester-primarily based studio specialising in conceptual prints, artworks and residence accessories. The staff have previously collaborated with Science Museum and London Transport Museum. 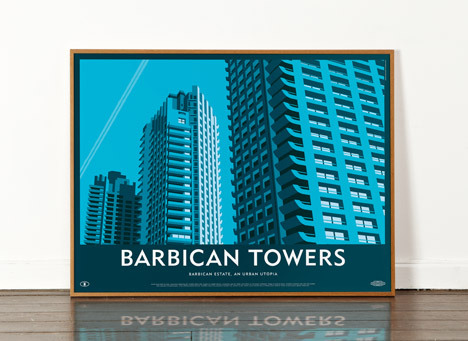 The prints are offered solely from the Barbican Store, and are priced at £35 every single. Competitors closes 14 October. 3 winners will be chosen at random and notified by e mail. Winners’ names will be published in a long term edition of our Dezeen Mail newsletter and at the top of this webpage. Dezeen competitions are worldwide and entries are accepted from readers in any nation.